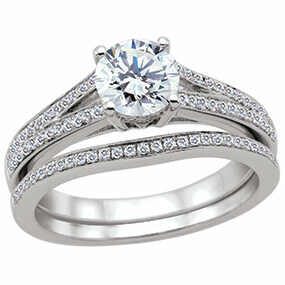 An Engagement Ring is likely to be your first major jewellery purchase in your lifetime. How much should you spend and what style or size you should get is entirely dependent on your financial situation and your personal tastes and lifestyle. If you make $2000 per month you likely won't spend $10,000 on a ring, nor would you spend $800 on a ring if you make $10,000 per month! Typically, we are seeing people spend an average of one month's pay on their ring. As for styling - there are literally hundreds to choose from and if none of those work for you - custom made is always a great option. Guys, try to gauge the type of work she does, how active she is, and whether she would wear the ring during work and/or activities. This will determine whether she can handle something that sits higher on the finger with many stones or if something simpler and lower is a better fit for her lifestyle. It's not a terrible idea to check out a few designs on line - make notice of the ones that make her SMILE and then find something with us that is similar and within your budget. Try also to get an idea of her ring size if you can. Ladies, todays Men seem to like simpler but heavier looking rings. Contemporary metals such as tungsten and Cobalt are very popular right now and fairly reasonably priced but beware - you can never size those rings! Gold is always the best option and you can get some tasteful designs that are made plenty heavy enough to handle anything your man can throw at it! Remember that even if you bought your Engagement Ring elsewhere we can custom make the perfect matching wedding ring to fit with it. Just bring your ring in and we'll talk about what you are wanting in a band to augment your ring and we will custom build something that will fit perfectly.